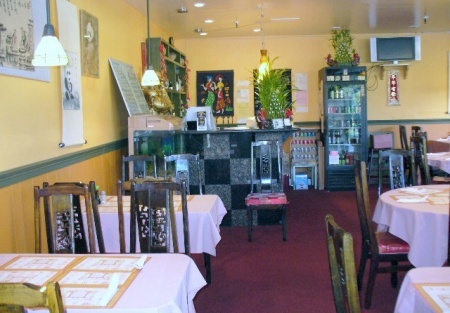 Selling Restaurants proudly presents this profitable Chinese family run business situated near Sacramento State University. It sits in a newer retail center. There is a large customer base surrounded by nice homes and plenty of students looking to fill their Chinese food desire. Owner claims monthly gross revenues are about $28,000 giving this business a rent factor of just 6.7%, indicating this business should be very profitable if the owner is managing the food and labor costs. Selling Restaurants has not verified the monthly revenue amount and makes no warranties as to the accuracy. The buyer should verify the sales during the due diligence process. The landlord replace the new air condition unit and the owner just updated ansil system in the hood. The Dining area is well maintained and beautiful. It seat 60 guests. There are 1900sq/ft with monthly rent of about $1,900 including CAM fees. The lease will expire on November 16, 2011 with 5yr option to renewal. A beer and wine license is included. The owners are selling because they need to focus on their family and careers. If you're looking for a Chinese restaurant to operate with your spouse then don�t miss this opportunity. It is perfect for a couple or small family. Select the orange button below titled "want name and address" to obtain the name and adress of this restaurant and Submit the online confidentiality agreement. Monday � Friday 11:00 a.m. � 9:30 p.m.
Saturday 12:00 p.m.- 9:30 p.m.
Sunday 12:00 p.m. � 9:00 p.m.
Retail center has Italian and Mexican restaurants. Nice neighborhood with plenty of students and local residence. New air condition unit and updated hood ansil system. Gorgeous dining room seats up to 60 guests. Base rent is super low only $1752 a month plus CAM Change. Beer and wine license included. Sellers needs more time focus on their families and careers. It is perfect for couple or small family operates.